I think I may have mentioned once or twice about how much I love Outback steakhouse. They are and have been my favorite steak house for many years now and for good reason. Not only do they continue to have popular menu items such as those melt in your mouth cheese fries and a sirloin steak unlike any other, but they also listen to their customers and expand their menu options to their tastes. 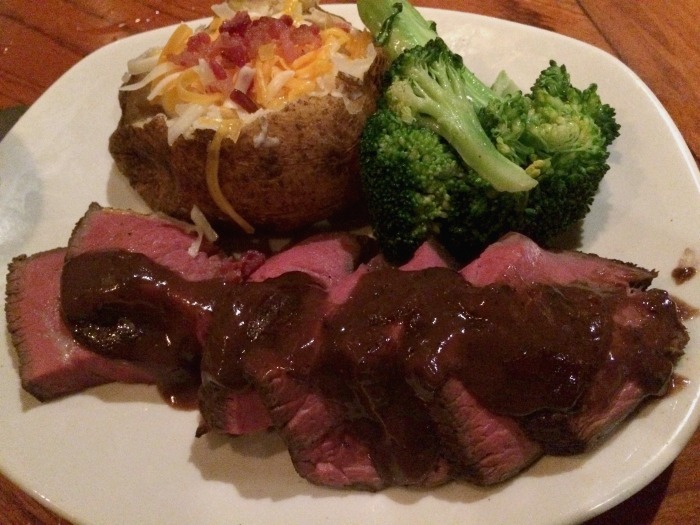 Recently I visited my local Outback Steakhouse with my husband and got a chance to sample one of these new menu items, the hand carved roasted sirloin and boy was it tasty. We visited Outback on a Friday night, which is one of the busiest times to visit any restaurant. Outback Steakhouse has call ahead waiting so you can call and put your name on the wait list and know exactly what time you need to be at the restaurant. Another reason why I love Outback Steakhouse! After sitting down we looked over the menu and that’s when I spotted the New hand carved Roasted Sirloin. Of course there was no need to look any further because this was exactly what I wanted. It does come with garlic mashed potatoes and a broccoli garnish but you can substitute the potatoes for another start like a baked potato which is what I did. While we waited for our main dish we decided to order an appetizer. Normally I order one of the large order of Aussie fries but I was feeling a little adventurous and decided to go with the buffalo wings. 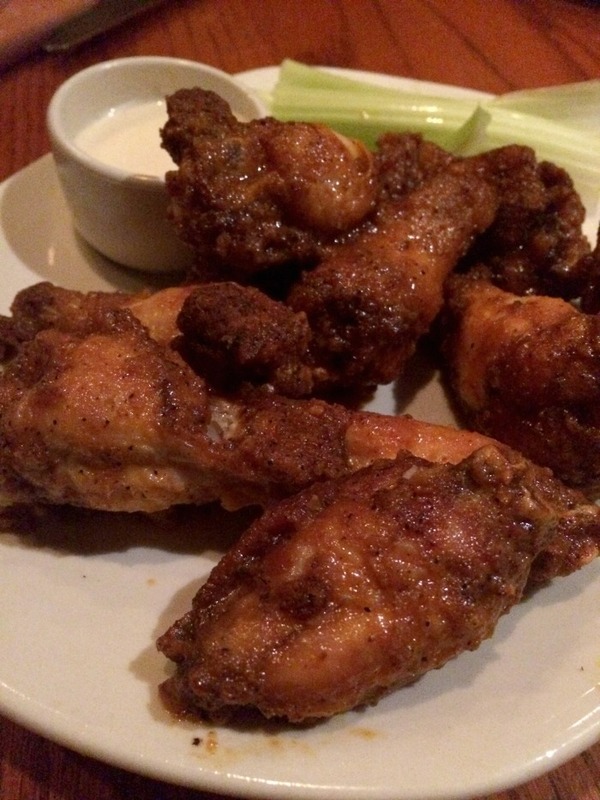 Seriously folks, these are some good wings and the perfect starter before your hand carved roasted sirloin arrives. And of course you can’t visit Outback Steakhouse and get a steak without ordering one of their amazingly delicious side salads. 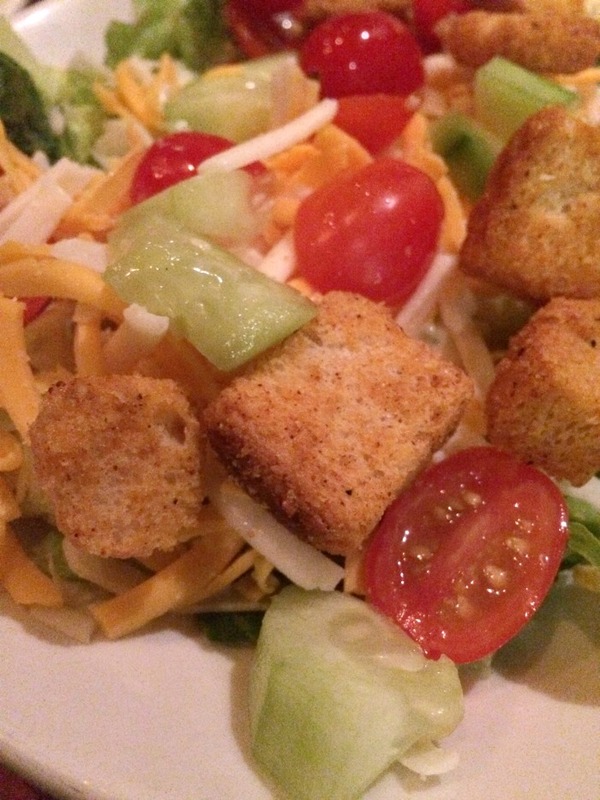 They have the all time best side salad of any restaurant I have ever eaten at, and that’s a lot! Outback Steakhouse certainly doesn’t skimp when it comes to their portions. After our appetizer and salads came, it was finally time for the hand-carved roasted sirloin and it was well worth the wait. The roasted sirloin is seasoned and seared and then hand roasted so that when it comes to your plate it’s nice and tender. They hand carve each sirloin as it’s ordered so all those delicious juices make it to your plate as well. There are 3 different options to choose from with the hand-carved roasted sirloin. You can get the classic roasted sirloin (what I got), the marsala roasted sirloin or the bistro roasted sirloin. Each of these roasted sirloins come with a different type of sauce. 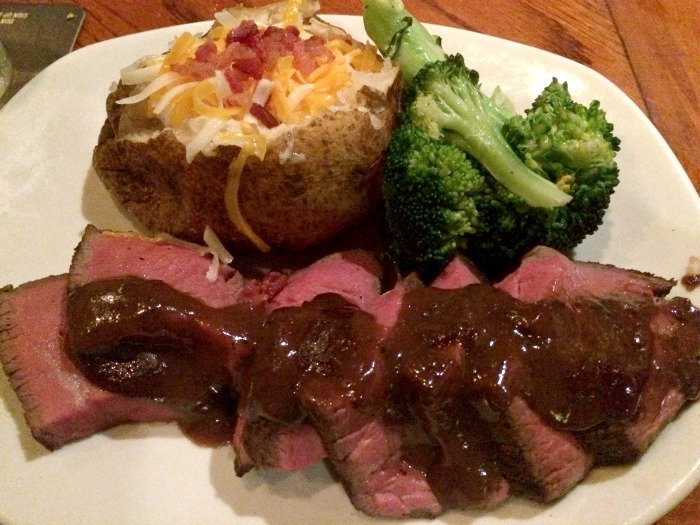 The classic roasted sirloin comes with a Cabernet sauce which is so good. It’s a mixture of both sweet and savory, perfect topping for a steak. The Marsala Sirloin comes with a savory mushroom marsala sauce and instead of potatoes you get rice. Last but not least the bistro sirloin comes with a creamy dijon bistro sauce and diced potatoes. 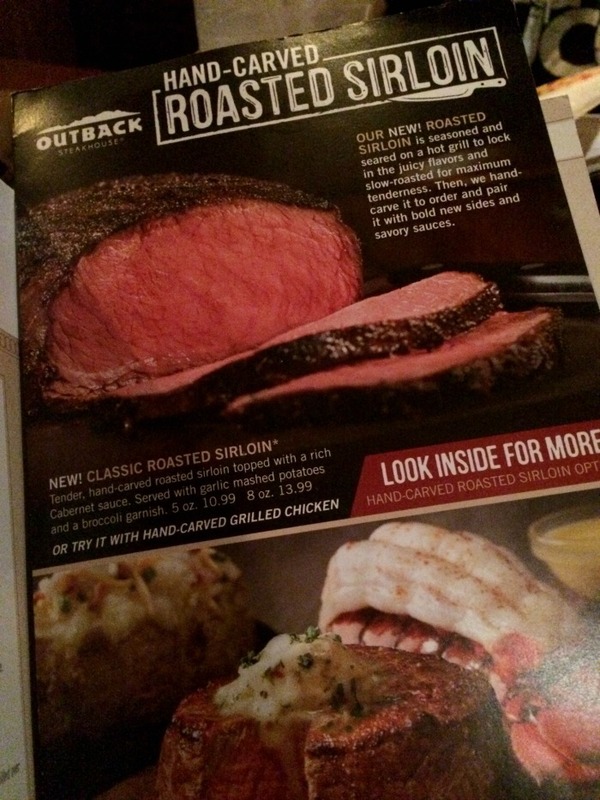 Once again Outback Steakhouse does it right with these new hand carved roasted sirloin options. They are delicious in every way and I can’t wait to get back and try the other two flavors. For more information on these new menu options you can visit your local Outback Steakhouse or visit Outback online. I received compensation and a gift card in exchange for my honest review. All opinions expressed are my own. I’ve heard lots of good things about Outback Steakhouse but have never eaten there. Your food pics look delish.